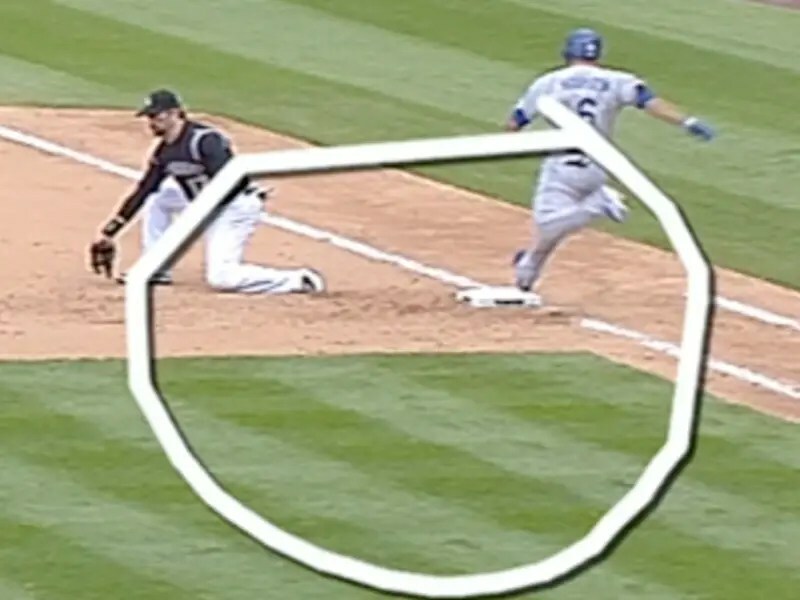 The way baseball games are governed on the field changed dramatically Thursday when expanded instant replay was unanimously approved at the quarterly Owners Meetings and the Major League Baseball Players Association and World Umpires Association also signed off. Beginning this season, each manager will start a game with one challenge. If it is upheld, he retains his challenge but can never have more than two in a game. If the manager exhausts his challenges before the start of the seventh inning, he is out of luck, adding a new element of strategy to the game. Beginning in the top of the seventh, the crew chief is empowered to institute a review. All reviews will be conducted at the Replay Command Center at MLBAM headquarters in New York. Two additional four-man umpiring crews will be hired and umpires will be rotated through New York to review video feeds. Every ballpark will have a designated communication location near home plate. There, the crew chief and at least one other Major League umpire will have access to a hard-wired headset connected to the Replay Command Center. The decision of the replay official in New York will be final. Another big change is that teams will be allowed to show replays, including those of disputed plays, on their in-park video boards. Approximately 90 percent of all plays will be subject to review, including calls involving home runs, ground-rule doubles, fan interference, boundary calls, plays at first base, force plays, tag plays, fair-foul and trap plays in the outfield, hit by pitch, timing plays, touching the base, passing runners and any dispute involving ball-strike counts, outs, score or substitutions. All other plays, including interference and obstruction, will not be reviewable. To initiate a review, the manager will verbally inform the umpire of his intention in a timely manner. The challenge may involve multiple portions of the same play, but each must be specified during the appeal. Free agent John Buck officially signed with the Mariners on Thursday as the club finalized a one-year deal that will add needed depth and a veteran presence at catcher. To make room on the 40-man roster, outfielder Carlos Peguero was designated for assignment. The club now has 10 days to trade, release or outright the contract of Peguero to the Minor Leagues. Peguero, who turns 27 next month, is out of Minor League options and would have had to either make the 25-man roster this coming season or be exposed to waivers. He’s hit .195 with nine home runs and 27 RBIs in 65 games over the past three years with Seattle. Source: Greg Johns at MLB . Ryan Divish at the Seattle Times adds: I wouldn’t be surprised if he goes to Japan. There was talk that NPB teams were highly interested in him. Steve Adams at MLB Trade Rumors Noted that: Baseball America ranked him among Seattle’s Top 30 prospect four times, twice placing him as high as No. 11. In their most recent write-up, they noted Peguero’s freakish athleticism and surprising speed for a 6’5″, 247-pound player, stating that he could be an average defender at a corner outfield spot. However, they also noted that he’s likely a platoon player that will always post troubling strikeout numbers due to an inability to recognize breaking pitches. Jonathan Mayo and Jim Callis at MLB Pipeline have ranked the 10 top catcher prospects and the Mariners were represented by: 10. Tyler Marlette, Mariners: Not every catching prospect was a high Draft pick or big international signing. The Mariners nabbed Marlette in the fifth round in the 2011 Draft, and he’s slowly developing into an intriguing power-hitting prospect. He has the chance to hit some long balls and for a decent average. He has good arm strength and his other defensive skills have started to catch up a bit. Marlette could put up some silly numbers in the California League this year on his way up the ladder. Comment From Kendrys Morales: Did I make a mistake not taking the Mariners qualifying offer? Steve Adams: I think he should’ve taken it, but with Boras on his side, he’ll clear a $14MM guarantee. The question will be how much of a hit to the AAV is necessary for him to get multiple years. Comment From Intl Men of Mystery: Will Yoon be the best International signing this year? Steve Adams: He has the potential to be a big bargain, but I don’t think he’s in line for an Iwakuma type of breakout or anything. Certainly lower risk than the high profile guys like Tanaka and Abreu though. Comment From Jerry Dipoto: How much is Garza going to cost me? Does 4/64 get it done? Steve Adams: I think if someone offered Garza 4/64 he’d take it. Comment From shonymat: Most likely destination for Kemp if traded? Steve Adams: Mariners maybe? But I put the odds on him being traded somewhere between 0 and 3 percent. Comment From chris: Where do you rate Colby Rasmus among center fielders? Steve Adams: I think he’s overrated, personally. But he’s one of the better free agents in the upcoming class and will get paid if only because the competition is so weak. Another big year would get him a huge deal, but with that strikeout rate, I just don’t see how he maintains. Comment From ny: What Steve? Colby Rasmus overrated?????????? He is underrated. Have you watched him play? Eaton over Rasmus? Wow dude! Steve Adams: Rasmus whiffed at a 30 percent clip in 2013 and had a .356 BABIP. When that second number falls, he’s going to hit .240 and struggle to keep his OBP north of .300. Plus I’d take six years of Eaton over one year of a lot of center fielders. As I said, that comment was driven by team control. Comment From Guest: How long a contract does Jimenez land? Steve Adams: At least three years, though I’m less confident in saying four than I would’ve been 4-5 weeks ago. Comment From Nelson Cruz: Do any teams want me? Steve Adams: Probably, but not at a price he and Adam Katz are willing to settle for. I’m sure the O’s and Mariners would be perfectly happy to take Cruz on a two-year deal. Rangers probably would bring him back in that case, too.